Here’s how our Dueling Reviews format works: each contributor writes an independent, abbreviated, spoiler-free review of the film. Then, the contributors come together in a podcast and discuss the movie in depth. A week after I saw The Bourne Legacy, a friend called me up telling me that he was going to see it that night. Summing up my feelings, I told him “Don’t do it, it’s s****y.” The film stumbles between its clear three-act structure with little substance to hold onto. The climax really fizzled in one extended chase scene, complete with a villain who emerged at the last second only to serve as a final physical antagonist. I was also looking forward to see how they’d do the “Bourne ending” this time with Moby’s orchestrated version of Extreme Ways, but director Tony Gilroy failed to deliver. That they couldn’t get my favorite aspect of the Bourne franchise right was a pretty big deal-breaker for me. The two main characters, Marta Shearing (Rachel Weisz) and Aaron Cross (Jeremy Renner), do do a great job giving the film agreeable protagonists. In fact, I think Renner’s performance is the highlight of the film. I particularly loved his odd matter-of-fact attitude about the espionage world. If it wasn’t for the bad climax, and even more awful last shot, it would have been a runaway success for Renner and Weisz – which I would’ve been very satisfied with. Having said that, I am looking forward to Renner’s performance as Aaron Cross in future installments; the series does show promise in that regard. Ultimately, I hope that Bournes five and six do better than this one, because right now this installment is wholly missable. The Bourne series has long been very near and dear to me. I was unfamiliar with the original novels by Robert Ludlum when I first went to see The Bourne Identity in the the theater, but afterwards I knew what I had seen was special. Matt Damon, along with director Doug Liman and writer Tony Gilroy, had restored the action genre to its former glory. Smart choreography, a well-thought out plot, and a strong lead performance lead the entire movie industry to follow in-step – even the 007 reboot seemed to echo the Bourne films. Needless to say, I was very excited to see The Bourne Legacy. While the prospect of no Matt Damon/Jason Bourne character had me worried, Jeremy Renner has proved with The Hurt Locker and The Town that he can give the star performance the series deserves. And indeed, The Bourne Legacy’s strongest asset is Renner, whose lighthearted, nonchalant Aaron Cross is a far cry from the serious, stony-faced Jason Bourne of the previous films. 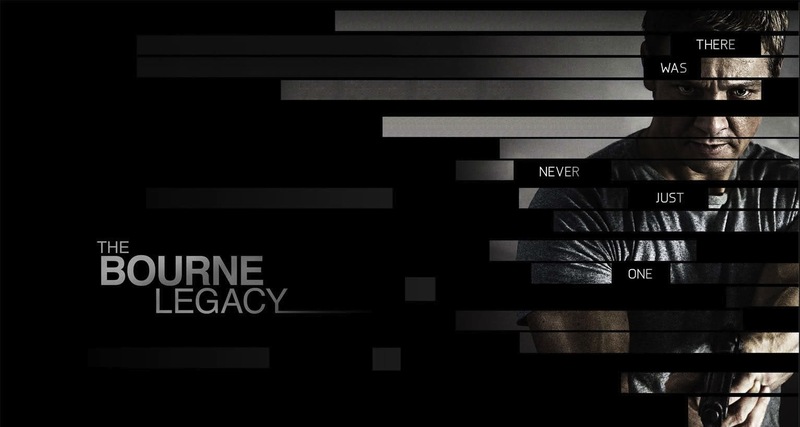 Unfortunately, The Bourne Legacy suffers from the direction of Tony Gilroy. As a franchise mainstay, Gilroy has been the mastermind behind the complex, fascinating stories of Treadstone and Blackbriar from previous films. And unsurprisingly, Legacy’s narrative really shines; it adds to the series’ mythos and sets the Aaron Cross character up to be an interesting foil for Jason Bourne. But in the end, Gilroy doesn’t manage to pull off the same deft pacing that previous films managed to achieve. Having said that, I have always felt The Bourne Supremacy was the black sheep of the trilogy; it definitely took Paul Greengrass a second go-round with the material to get it right with The Bourne Ultimatum. So perhaps, given another shot, Gilroy may create a film whose quality that matches the story he is trying to tell. And maybe, just maybe, we may see the Bourne/Cross team-up that everyone is now waiting to see. You can listen to the podcast below, or download it here. Michael is a dramatic writer. He writes for film, theatre, and television and is now in his senior year at Hampshire College. Along with writing and directing his short film, "Even The Dogs Know," he is working on three spec television scripts for his thesis.